The following is a list of things that had occurred within a few months of Emily going missing and later found murdered. 1) Emily had been placed in Juvenile Detention for about 9 months for not going to school and then sent to Mauc for a few more months, which was a rehab program for troubled youths. She was released from there on January 28, 1993. That same day, Emily and her mother Sheila met with, Keith Fortney, Chief Deputy of Juvenile Probation. On February 11, 1993, Sheila & Emily were to meet with Mr. Fortney again because Emily was being released from probation that day, but Mr. Fortney wasn't there, so another Juvenile officer met with them and released Emily from probation. This was the day before Emily went missing. 2) Emily had broke the news to her mother that she was pregnant a few days before that she went missing. Sheila was not happy, but decided to make the best of it and get Emily in to see and doctor as soon as possible. On February 11, 1993, Sheila & Emily went to the Dept. Of Human Resources, to try to get Emily set up with Medicaid so that she could see a doctor and get prenatal care. They were told that for Emily to apply for Medicaid that there had to be a "proof of pregnancy" and was told that Emily should go to Planned Parenthood and have a pregnancy test taken and then bring the results back to them so they could get the paperwork started for Medicaid. 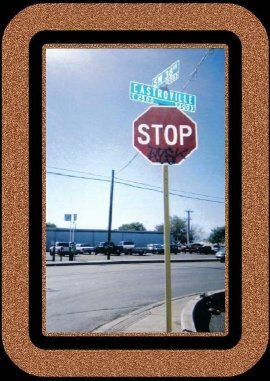 This is the street that Emily was last known to be. 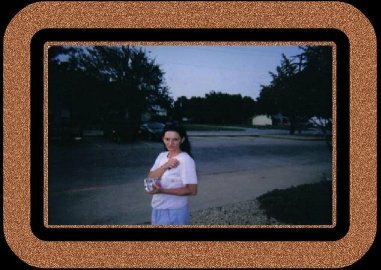 Across the street is the pay phone that she used to call her Mom to tell her that she was staying with her friend Dona that night and going to Planned Parenthood the following day......She was never seen or heard from after that. At this time Sheila had to go to work, so she sent Emily to Planned Parenthood alone to have the test taken. A few hours later, Emily called Sheila from a pay phone and told her that she couldn't be seen at Planned Parenthood that day due to the fact that she didn't have an appointment, but was to return the following day to have it done. Emily informed Sheila that she was going to stay with a friend of hers(Dona Gullick) that night and go to her appointment the next day. Sheila was ok with this since Emily had stayed with this friend several times and she had Dona's address & phone number in case she needed to reach Emily......after this call Emily was never seen alive again. We tried to contact Dona to see if she had heard from Emily or if Emily had made it to her house that evening, but Dona didn't answer Sheila's calls or return any of them and when she went to see her she was told that Dona moved. To this day, we have no idea if Emily ever went to Dona's or what took place. We only know that she called Sheila on the evening of February 11, 1993 and was never seen alive after that phone call. 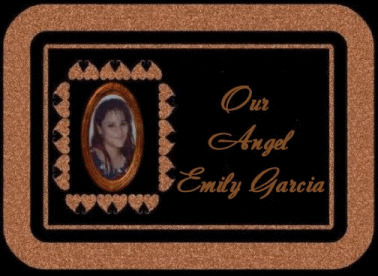 We do know that Emily never made it to Planned Parenthood the next day, because their records showed nothing on Emily Garcia, her birthday, or social security number and there would have been if she had made it to her appointment. 3) Sheila contacted Greg Gonzalez "aka Shotgun" and set up a meeting with him and his mother a few days before Emily went missing. Emily claimed that Greg was the father of her baby and they were all to meet at Denny's on Marbach Road in San Antonio to discuss his role in this pregnancy and if he was going to take responsibility or not.......no meeting ever took place because Emily went missing before it and when Sheila went to keep the appointment with Greg & his mother, they never showed up. Sheila was never able to reach them or talk to them again. The one question we have is how could Greg Gonzalez be the father of Emily's baby if she had been locked up in Juvenile Detention and then Mauc for about 9 months? We think that Emily was trying to protect someone and feel that her baby's father had to be someone who works for Juvenile Detention or Mauc!!!! Why didn't the police see this and question it?? 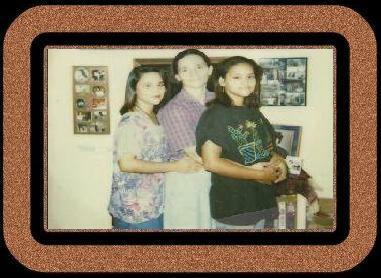 Sheila Smith-Ramriez with her daughters Elizabeth(right) & Emily(left) in 1992, about a year before Emily was murdered. The following is a list of things that Sheila(Emily's Mother) did once she realized that Emily had went missing on February 12, 1993. 1) Sheila called Missing Persons to report Emily missing, only to be told by the police that you have to wait 48 hours before you can make that report. This is so crazy since the first 24-48 hours are the most important hours that can make the difference in finding that person dead or alive. 2) Sheila called the "Runaway Hotline". The man didn't even want to take the information on Emily, but finally did, or said that he did. When he got done taking Emily's information from her, Sheila then asked him what he was going to do(meaning what was the next step) and he became very angry and ended up hanging up on her. Later when we went to search for records of the report that he had taken about Emily on February 12, 1993, it showed that no report had ever been made. If this man had done his job he may have made the difference in our finding Emily alive instead of being murdered. 3) Sheila called the hospitals, the morgue, all of the teen hangouts that Emily was known to go to. 4) Sheila tried to contact Emily's friends(Emily had left a list of her friends & their contact information for her mom in case of an emergency). When Sheila contacted Emily's friend, things started getting very strange. They either weren't at home, had had their phones disconnected, moved, hadn't seen Emily, and some acted as if they didn't even know her, which we knew was a lie. 5) Sheila even called a friend of hers, who was known to be a psychic and asked her about Emily's disappearance. This lady knew Emily and told Sheila that Emily was still alive at the time they were speaking, but was being held against her will. She also told Sheila that she saw something about an abortion....that someone wanted her to have an abortion or was forcing her to have one. She said there were also drugs involved. This was on February 13, 1993. For the next several months, Sheila searched high and low for Emily or clues to where she may be. 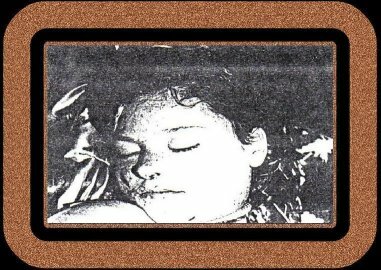 While Sheila had been searching for Emily all that time, little did she know that a Jane Doe had been found dumped in a field in Comal County on February 25, 1993, only miles from where Emily was missing. Sheila never saw the news coverage(which was very little) on the Jane Doe, because she was out searching for her daughter and she also figured that if a body was found that the police would know it was Emily and contact her. Finally it all took it's toll and Sheila's health deteriorated to the point that she decided to take her older daughter Elizabeth and go back to Missouri to stay with her parents for a while. On the 1 year anniversary of Jane Doe's discovery, a local news station aired the show trying to find someone who may know her identity. A friend of Sheila's saw the show and recognized the tattoo of the backwards 4 on Jane Doe's hand and recognized it as one just like Emily had on her hand and immediately called Sheila to tell her. Sheila and her daughter returned to San Antonio the following day and went to the police to find out if this was in fact her missing daughter Emily. Sheila was then told that the fingerprints of the Jane Doe matched exactly with the fingerprint card that Sheila carried of Emily's where she had taken her daughters and had them fingerprinted when they were young. Sheila was devestated....Emily was now dead. At this time, Sheila was told by the police not to talk about this case to anyone because it could interfere with their investigation, so Sheila left it to the police to handle. Sheila Smith-Ramirez in 1993, when we started our own investigation into clues on Emily & Emilio's murder. Years passed and the police were no closer to finding Emily's murderer than they ever were, so Sheila and I(Theresa, Emily's Aunt) decided to do what the police should have been doing for years and search for Emily's killer or clues to her murder ourselves. 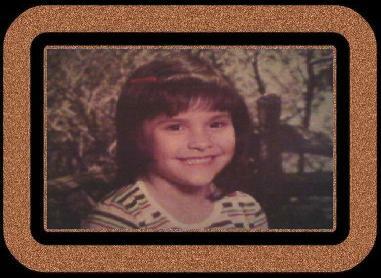 Sheila moved in with me in Blessing, Texas and we began our long hard search for Emily & Emilio's killer. On the next few pages of this web site you will see all the people we have contacted and all the work that we have done on this case. You will also see the absence of any work the police have done, so if you should happen to have any clues at all about this case, we beg of you to contact Sheila or myself(Theresa) at the information below. 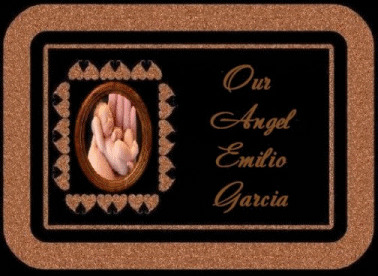 It's been 19 years since Emily & Emilio were murdered and we need to be able to put them to rest and move on, but we can't do this until justice is finally served.